Many Android smartphones come with a built-in screen recorder app to record the screen. But, the iPhone, on the other hand, does not have any such feature to begin. AirShou is here to change it. The AirShou app is a screen recorder app for iPhone and iPad, and it is free to download. If you wanted to have a screen recorder app for iOS, you needed to have a jailbroken iOS device as well. However, not everyone wants to jailbreak their brand new device and risk voiding the warranty just to install the screen recorder app. Thanks to AirShou, now you can install screen recording app on the iOS device without Jailbreak. AirShou is a brilliant app if you want to record the iPhone screen without jailbreak. The app comes with a host of features as mentioned earlier. You can change the screen orientation, bit rate, resolution, video format and more. Using the app is easy as well. Launch the app, name the recording and hit the record button. Begin with downloading the AirShou app. To do this, open the Safari web browser and type the following address in the address bar. http://iemulators.com/airshou. Once you are on the page, scroll down to the bottom and tap on AirShou app. 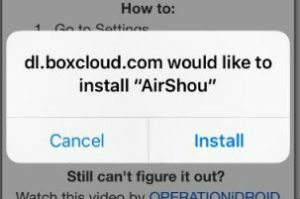 A popup will appear with AirShou installation screen and other details. Read the details and instructions if you want to and tap on Install button to install the app. Wait for a few minutes so that the app is downloaded and installed on your iPhone. If a pop-up appears asking for the confirmation, tap on Install again to proceed. Once the installation is complete, you need to make the app trusted. If you open the app, it will show an app from untrusted developer message. To do this, go to Settings > General > Profile / Device Management. 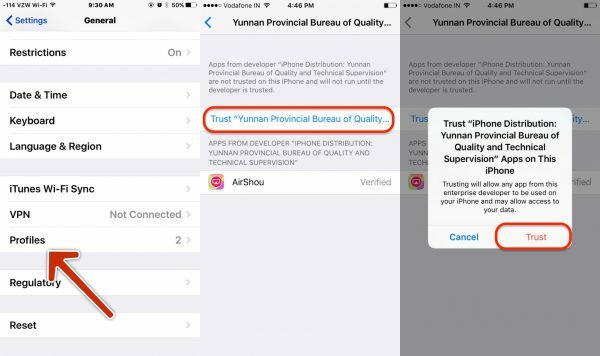 Find the profile for AirShou app and tap on Trust the developer to make the app trusted. Once done, you can launch the AirShou app from the homescreen. 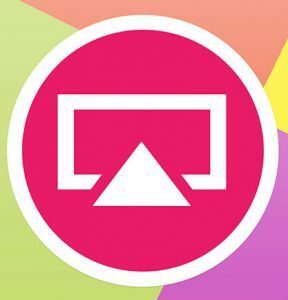 While opening the AirShou app if the app asks you to install, Airshou TV app then you can download the app from the App Store. Inside the app, you can see Start Recording and Start Broadcasting option. You can change the screen resolution, video format, bit rate from the settings. To start recording the screen, tap on Start Recording and name the recording. A red banner will be visible at the top of the screen which means the app is recording the screen. Tapping on the red banner will stop the recording. The recorded videos are saved in the app gallery itself. You can access it from the Recording section. You can also save the recorded videos in the Camera Roll and then export it to any other device to edit the video or share it directly to YouTube. AirShou requires iOS 9.0 or above running iPhone or iPad to work. You can install the AirShou screen recording app on iOS 10 and iOS 11 devices as well. If you are not impressed by the AirShou app after using it try BB Rec screen recording app for iOS.